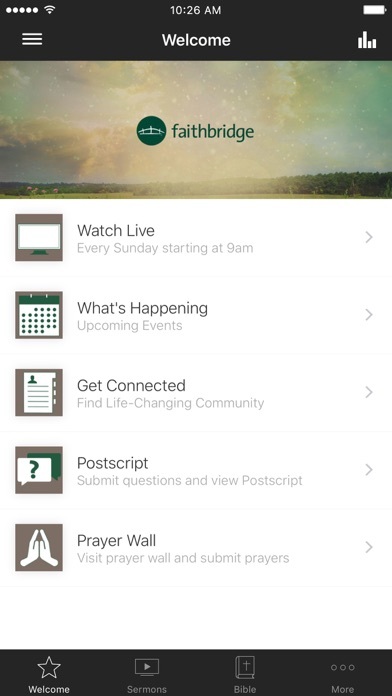 The official Faithbridge app connects you to sermons, news, resources and more from the Houston-area church. - Watch live broadcast of Sunday worship services. 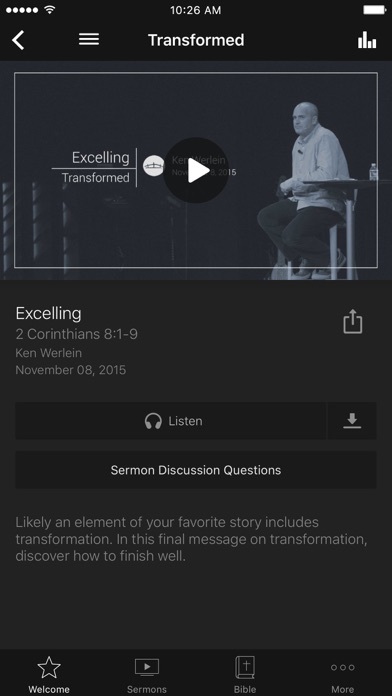 - Access sermons from Ken Werlein, Ben Stuart, and more. 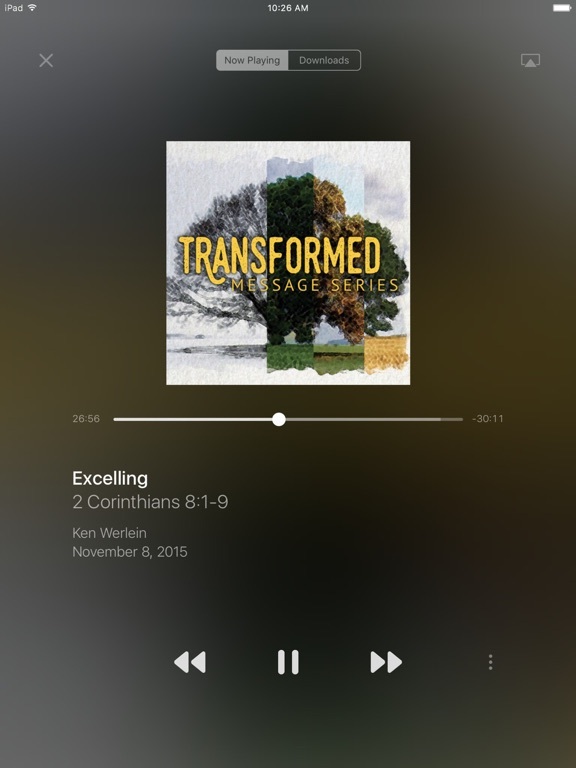 - Download sermons to listen to later. 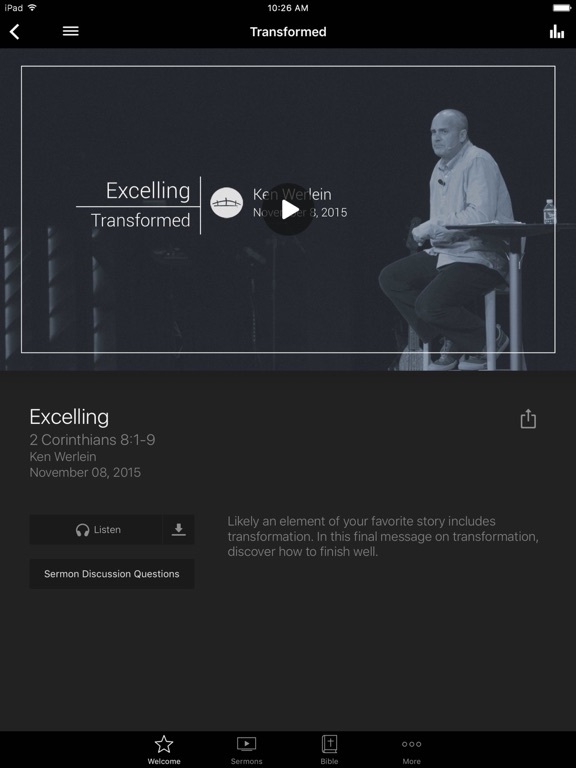 - Find a Grow Group or a Serve Team. - Submit a Connect Card and a Prayer Request. - Up-to-date news and event information. - Get directions to one of our campuses. 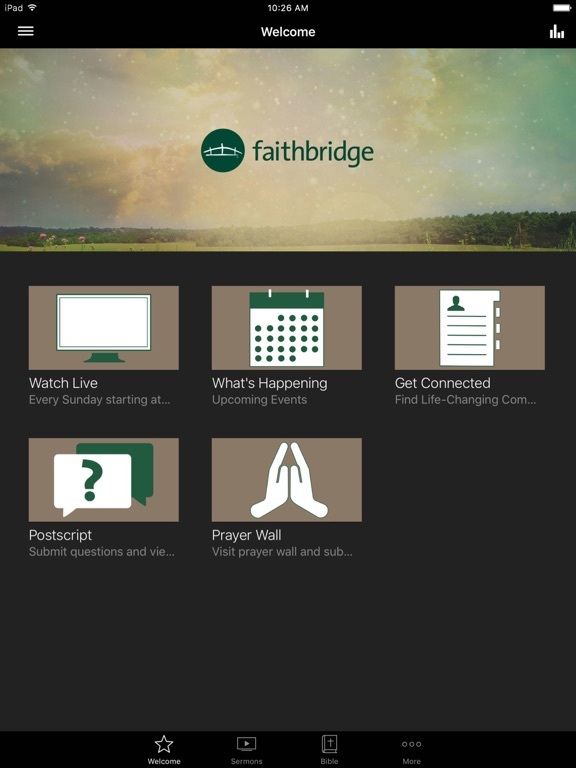 The Faithbridge app was developed with the Subsplash App Platform.